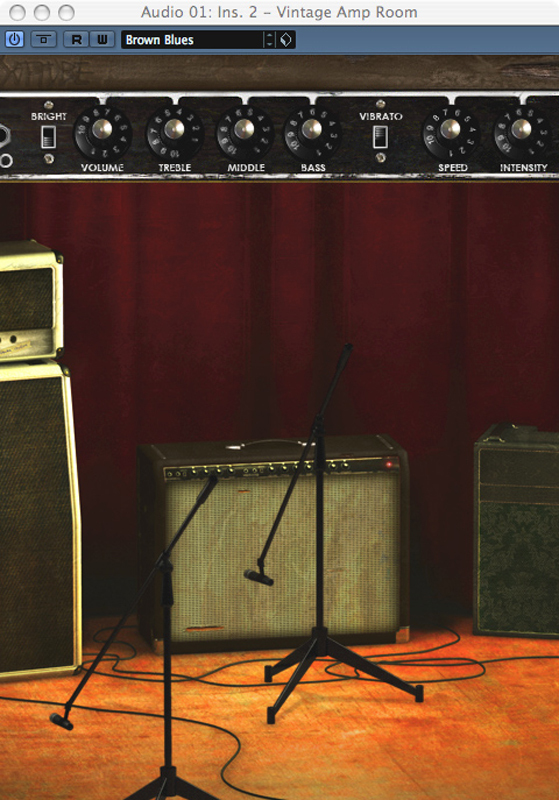 All the Softube guitar amp simulations in one package. 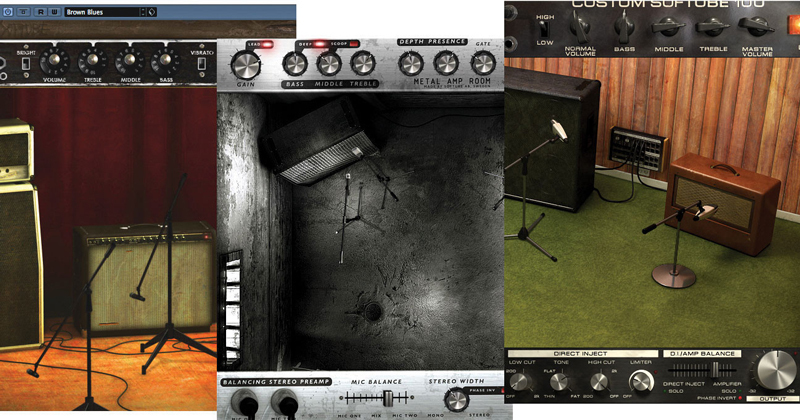 Amp Room Bundle consists of three state-of-the-art amp modelers: Vintage Amp Room, Bass Amp Room and Metal Amp Room. Vintage Amp Room emulates three great guitar amps in a complete studio set-up with speaker cabinets and fully flexible microphone positioning. It’s easy to use for live performances and recordings, as well as for re-amping and last-minute tweaking. White is based on an all-round great amp that set the industry standard for classic, distorted rock n’ roll sounds. The genius is its simplicity. It's stripped down to the bare essentials – all tubes, only one channel, and no reverb or any other built-in effects. Amp Room Brown is based on one of the most versatile amplifiers in music history. It’s been used in all kinds of genres, and for all kinds of instruments, thanks to a sound that is clean, crisp and clear, but also warm, thick and punchy. Green is packed with character and produces a pleasant guitar sound with warm yet intense power amp distortion. Its edginess makes it shine through in mixes, without drowning out other instruments. Green is based on a very adaptable three-channel amp model. All three channels sound fantastic, but if you want to add a little quirkiness, we especially recommend the vibrato/tremolo one. The original amp has been widely used during the last forty years, from classic pop recordings in the 60’s, through to today’s users, playing mostly independent and alternative rock. 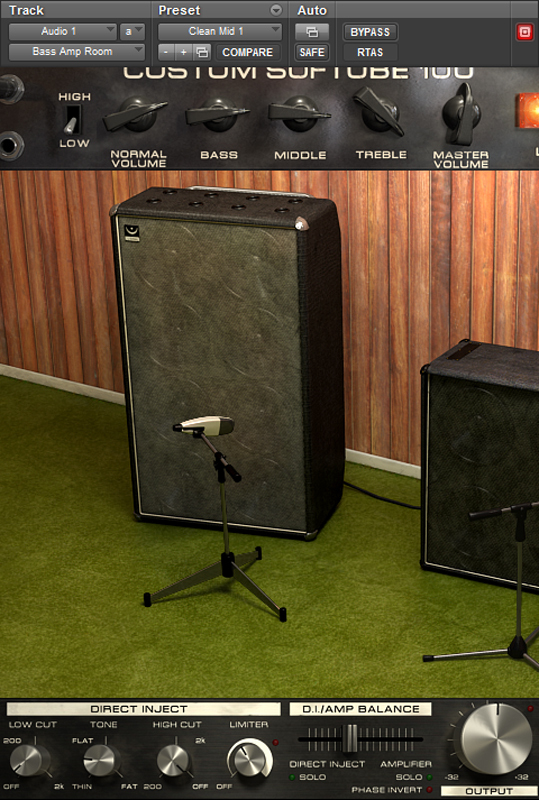 Bass Amp Room consists of a model of a classic bass amplifier, three distinctive speaker cabinets with click-and-drag mics, and a blendable DI section with tone controls and a limiter. That's it. And it's all you need to create a unique signature sound - the strength lies in the ease of use of the individual blocks and the huge range of sounds these can produce when combined. Co-developed with Patrik Jensen (The Haunted) and tailored to his needs. The continuous mic placement from Vintage Amp Room is back, but this time with twin mics with adjustable stereo panning. Get a huge stereo sound with complex adjustable phasing effects, a plain old one-mic-right-against-the-cone, or anything in between. The cabinets were measured in the In Flames studio (previously known as Studio Fredman) by Tue Madsen and Patrik Jensen. Focusing on usability and sound quality, this is a plug-in that is proud not to include a gazillion amps, effects racks, patch cords, or a blow- dryer. Just two channels, two cabinets, two mics per cabinet, and a wickedly fast noise gate for palm mute galore. Every setting is a setting that will sound good, so it's almost impossible to get a useless sound. 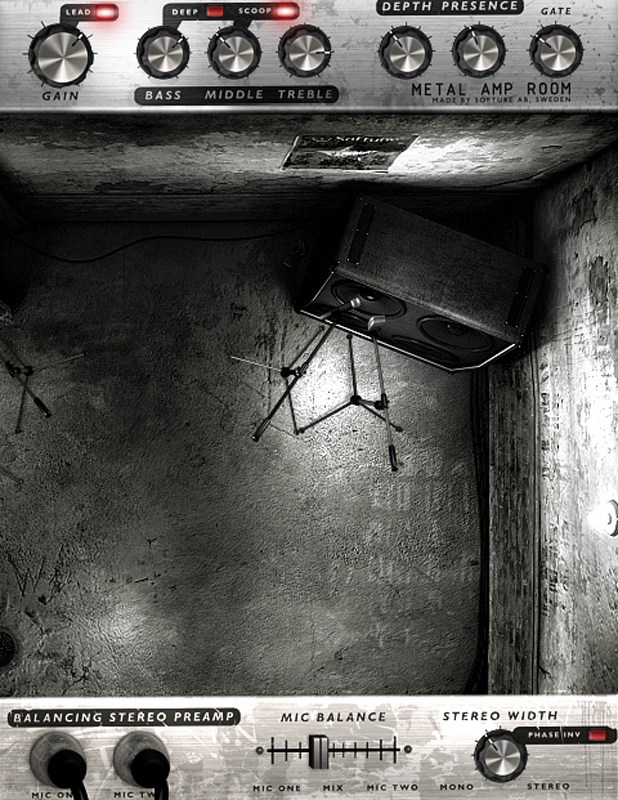 Metal Amp Room is a real workhorse, a plug-in that will handle all your metal needs without ever getting in your way.